Well I'm back from the beach and back to real life as we were greeted by a falling down fence due to some storm damage, a lot of weeds and a giant spider. Fun stuff. Today was spent cleaning up the messes and doing vacation laundry so since that isn't too fun, I'll tell you about the French toast casserole that I made one morning while we were on vacation. I came across this recipe on Josie's blog, Pink Parsley, a couple weeks ago for a Project Pastry Queen challenge and was intrigued since I love French toast and I had just received The Pastry Queen cookbook in the mail a couple of days earlier. I decided that due to the coincidence, I definitely needed to try the recipe. My recipe is a little different since I didn't want to take too many different ingredients so I used milk instead of heavy cream or half and half as the recipe calls for and French bread instead of Challah, because they didn't have any at the supermarket when I went. I used whole eggs instead of yolks because I didn't want to waste the egg whites since I wouldn't use them for anything else on vacation. I also didn't bake it like a custard as the recipe suggests because I didn't have a second pan big enough. I also added a little orange juice to my custard mixture just for a little something extra and tossed the bread cubes with cinnamon and sugar before soaking. I would also recommend watching the broiler like a hawk if you do the creme brulee finish under the broiler. Our oven on vacation was a little quicker than my broiler at home and I ended up with a topping that was a little crispy. Whether you use a broiler or a kitchen torch for more control, this casserole ended up delicious. It makes for a fantastic breakfast or brunch treat, especially because all the prep work is done the night before and you just have to pop it in the oven in the morning. 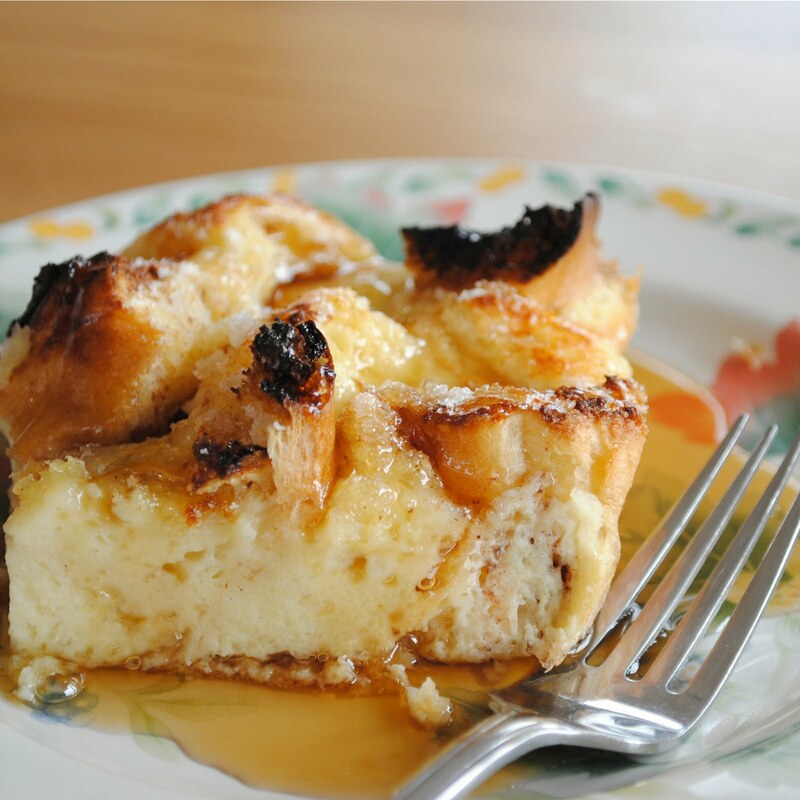 Combine eggs, milk, 1 cup sugar, salt, 1 tsp cinnamon, vanilla, orange juice, and 2 T melted butter in a large bowl. Whisk together until well incorporated. Use remaining butter to heavily butter a 9x13 baking pan. Slice bread into 1/2" thick slices and then cut slices into cubes. Combine remaining cinnamon and 1 T sugar. Add bread cubes to pan and toss with cinnamon sugar mixture. Pour custard mixture over bread cubes, pressing cubes down with a spoon to thoroughly soak bread. Cover with foil and refrigerate at least one hour or overnight. Preheat the oven to 325 degrees. Bake approximately 40-50 minutes until golden brown and set. Remove from the oven and sprinkle remaining 3-4 T of sugar over the top of the casserole in an even, heavy layer. 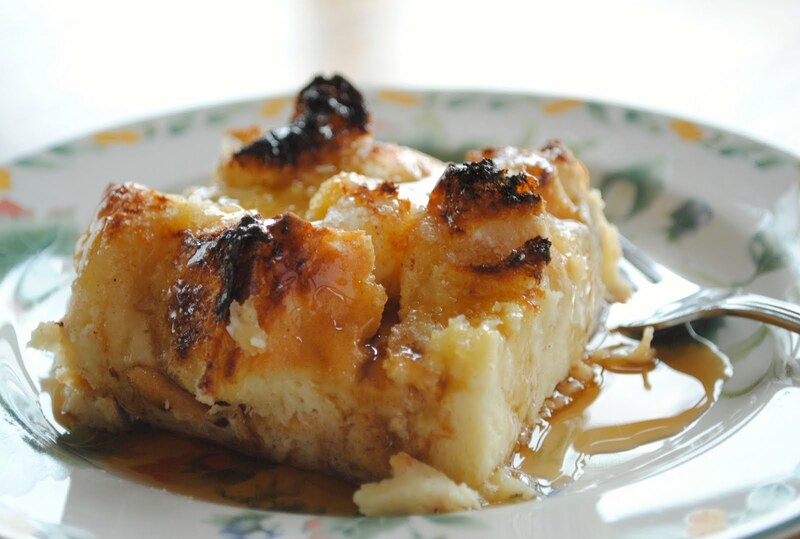 Set broiler on high and return to oven or use a kitchen torch to caramelize the sugar. The sugar will turn brown and liquefy and then harden as it cools. Serve warm with maple syrup if desired. French toast AND crème brulée in one pan??!! Why don't you just call it "Heaven?" I'm printing it out right now! This looks awesome!! The combo of french toast and creme brulee = YUM!!! This sounds so perfect. Great Idea! I am loving it. Looks lovely with the caramelised edges! I nominate you for the Sweet Friend Award. Everything you post makes me smile. I am starting to starve now! This is really good! I can't wait to start making some. I tried it when it came out in Mormon Times. It is delightful. This is SOOOOOOOOOO good!!!! I've made it several times and we just LOVE it - thank you for the recipes! Can we freeze this and bake later? I haven't tried freezing and baking later but it works with many bread recipes, cinnamon rolls, scones, etc. so it's worth a shot. I think the orange juice definitely adds something extra to the recipe... however, if you want to leave it out, yes just replace it with milk. 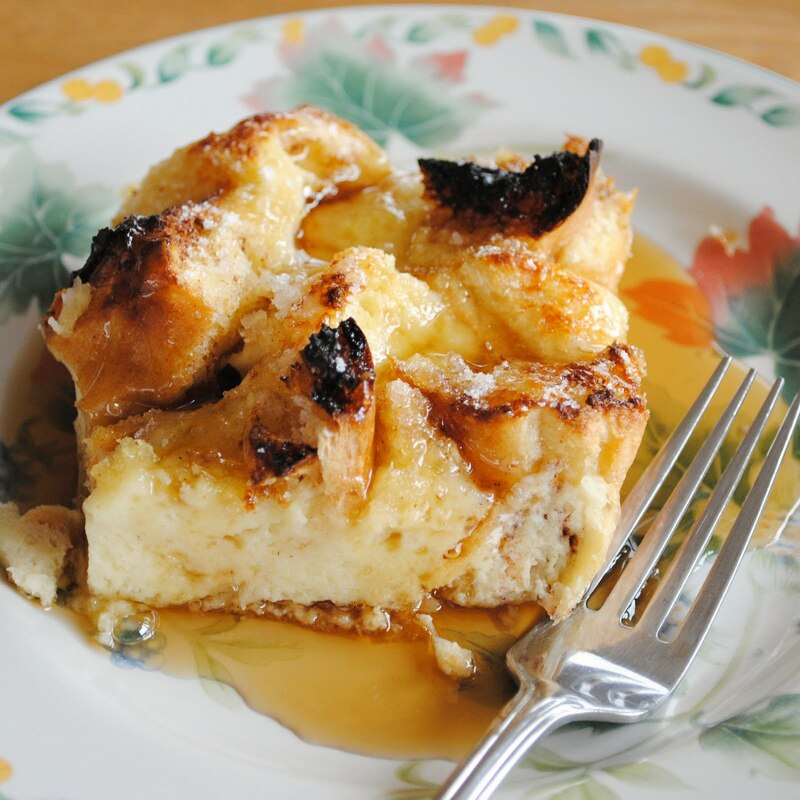 I served this to my family for brunch during Christmas and it was really good, but I had trouble getting all the sugar to liquefy in the broiler. After it was cooked the surface was very lumpy so the sugar on the high spots burned while the low areas remained covered with sugar crystals. Had to use a torch to try to get at least the majority of them to liquefy. From the country I come from , Dominican Republic this is called Pudin de Pan it doesn't have the caramelized sugar like the crème brulle but it has the same ingredients plus a touch of rum. I made this at the cottage this past weekend and it was amazing I didn't have vanilla so I used maple extract instead and it turned out great everyone loved it. All about the bread you use. Tasty, simple french toast recipe. Will make again for sure. Looks amazing!!! And I am French so this will be on my list to make.